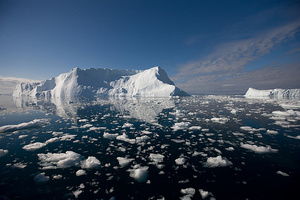 Calving glaciers and gigantic icebergs: Majestic icebergs are situated in the UNESCO World Heritage Site of Ilulissat Ice Fjord right outside the town and can be experienced at close range on our Midnight Cruises or during full day excursions where we cruise close to the impressive calving glacier of Eqip. Isolated Settlements: On other excursions we sail to small and remote settlements, where the Greenlandic hunters still live much according to ancient traditions. 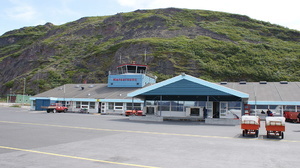 Kangerlussuaq is not only an airport and gateway into Greenland; the area has much to offer travellers. Greenland Wildlife: Kangerlussuaq is the best area in Greenland to see Arctic wildlife - close to the hotel you often see reindeer and musk oxen! The Inland Ice Cap: No other destination in Greenland offers easier access to the Inland Ice Cap - here we drive in 4x4 vehicles directly to the amazing Ice Cap. Fantastic weather: The location approx. 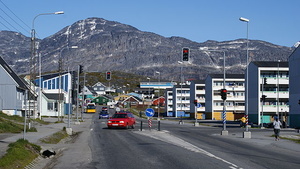 160km inland from the coast makes Kangerlussuaq one of the most weather stable destinations in Greenland with lots of sunshine. Breakfast at the hotel. Being situated almost 400 km north of the Polar Circle you have a fantastic opportunity to discover more about daily life in the Arctic. We will drive by bus as far as the road goes. 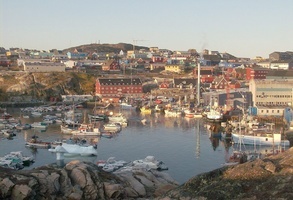 Then a beautiful guided walk along the UNESCO World Heritage designated Ilulissat Ice Fjord to Sermermiut where traces from the three old Inuit cultures can still be found. Sermermiut is a fertile valley next to the Ice Fjord; here you can enjoy the flowers as well as the fantastic icebergs. Great photo opportunities! Light refreshments included. 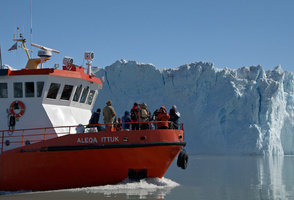 We cruise in front of the 5-km wide glacier for approx. 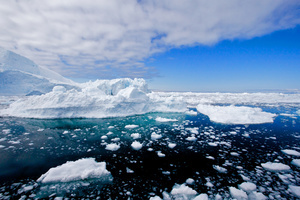 one hour and hope for the unique sight of an iceberg “delivery”. 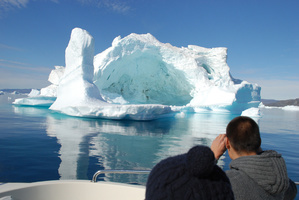 The Eqi Glacier is very active and there will be many photo opportunities. This area is also excellent for spotting whales and hopefully the gentle giants of the sea will put in an appearance. Lunch or dinner included. A guided tour by 4-wheel-drive through an Arctic desert, along rivers, through old glacier valleys and over small mountains directly to the Inland Ice Cap. We drive on narrow mountain tracks at slow speed. En route we make several photo stops and walk to some view points to overlook the fantastic Arctic landscape. Actual destination depends upon the weather. This unforgettable tour offers a flight in a 5-seat aircraft cruising in low altitude to the Inland Ice Cap. If we are lucky we will also spot musk oxen roaming the Arctic wilderness. Window seats are guaranteed. Minimum 4 pax. This unforgettable tour offers a flight in a 5-seat aircraft cruising in low altitude over the Kangerlussuaq area, with the Inland Ice Cap in the back ground - and with a high certainty of viewing musk oxen. Window seats are guaranteed. Minimum 4 pax.